Screenshot/Fox NewsJoseph diGenova will not be joining President Donald Trump’s legal team. One of the lawyers represents Trump’s former legal team spokesman, who is said to have told special counsel Robert Mueller that a key witness hinted at concealing evidence from the investigation while on a conference call with Trump – an action that, if true, could open Trump up to legal jeopardy. Trump’s legal team shakeup comes as he weighs whether to agree to an interview with Mueller. President Donald Trump will not hire two controversial lawyers to represent him in the Russia probe, backtracking on his legal team’s statements last week, The New York Times reported on Sunday. 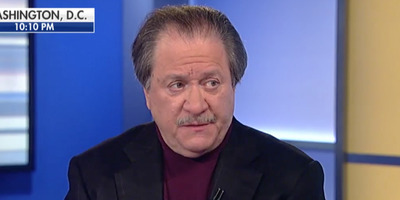 One of Trump’s defence attorneys, Jay Sekulow, announced last week that the president would hire Joseph diGenova and Victoria Toensing. DiGenova and Toensing, who are married and run their own law firm, are staunch critics of the Clinton family. Both were federal prosecutors, but they later made their reputation appearing on television to push conspiracy theories about the Department of Justice and the FBI. Toensing also represents Mark Corallo, the former spokesman for Trump’s legal team. Corallo is said to have told special counsel Robert Mueller that Hope Hicks, the White House communications director, may have hinted at concealing evidence from the Russia investigation during a conference call with Corallo and Trump aboard Air Force One last year. Hicks’s lawyer, Robert Trout, has denied Corallo’s assertion, and White House aides told The Times that Corallo’s testimony was a factor as Trump decided whether to go ahead with hiring diGenova and Toensing. Two people told The Times that Trump ultimately didn’t hire diGenova and Toensing because they didn’t have chemistry with him. Ahead of the news, Trump tweeted he was “very happy” with his legal team. Andrew Harrer-Pool via Getty ImagesTrump wants to talk to Mueller, but his lawyers have advised against it. Trump’s legal team is currently in the midst of a shakeup as the president adopts a more aggressive approach toward Mueller. Last week, John Dowd, the lead defence attorney managing communications between Trump and Mueller, resigned because he was frustrated that Trump was not following his advice. Dowd was the member of Trump’s team most vocally opposed to a face-to-face interview between the president and the special counsel. He and Sekulow had been working for months to sidestep or significantly narrow the scope of an interview with Mueller, out of fear that their client – who has a history of making misleading and exaggerated claims – could land himself in legal jeopardy. 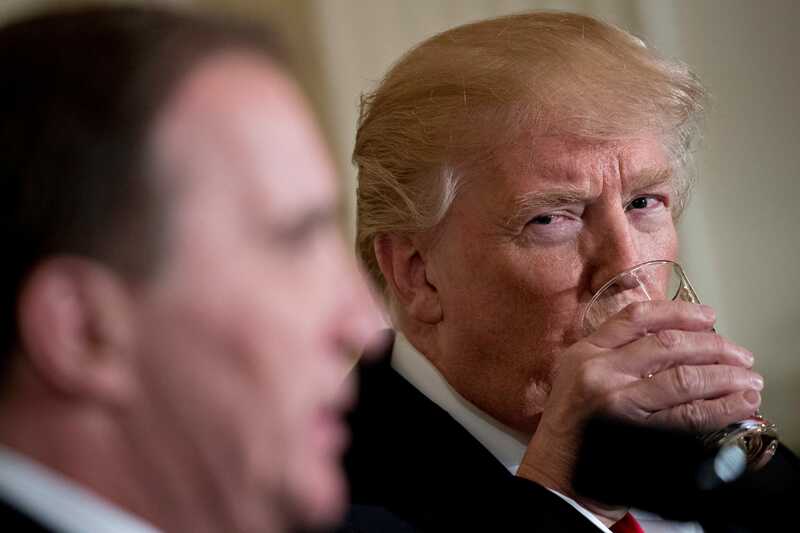 Trump, meanwhile, has reportedly been “champing at the bit” to talk with Mueller, and his decision to hire diGenova and Toensing last week indicates he is now looking to stack his team with lawyers who have the same take-no-prisoners approach to the Russia probe. The president is also reportedly weighing whether to fire Ty Cobb, the White House lawyer who has advocated for a cooperative approach toward Mueller. A source close to Trump’s thinking told Axios last week that Cobb was “one hundred per cent secure” in his job. Alex Wong/Getty ImagesRobert Mueller may be wrapping up his obstruction of justice case into Trump. Legal experts said Mueller would most likely have succeeded in securing an interview regardless of any objection from Trump’s team. But they strongly urged caution on the president’s part in the event that he faces off against some of the country’s most skilled prosecutors. 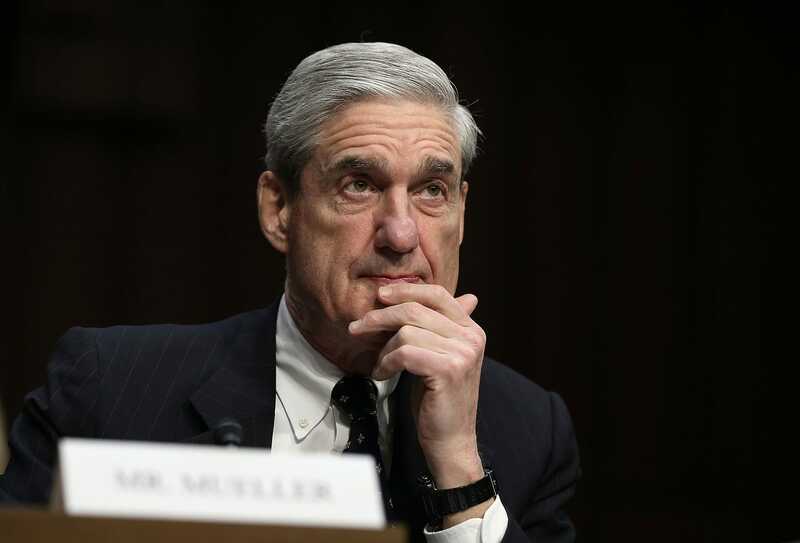 Mueller’s recent push for an interview also signifies that his investigation into whether Trump attempted to obstruct justice when he fired FBI Director James Comey last year is most likely nearing its end. Trump’s confrontational persona and mounting frustration about the investigation – as well as his view that Mueller and the FBI are undermining him – have prompted him to lash out at the special counsel in recent days. If he does the same during an interview, strays off script, or makes baseless statements, the consequences for him or his associates could be “tragic,” said Jeffrey Cramer, a former federal prosecutor who spent 12 years at the Justice Department.